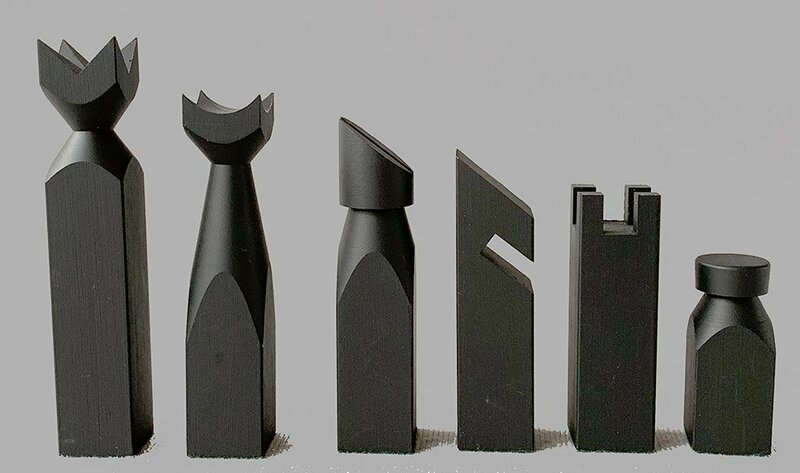 Offered here is The Satellite Minimalist Chess Set by Studio Anne Carlton. This abstract chess set design, with clean lines, is typical of the 1960s Minimalist movement which permeated design and architecture in the 1960s. 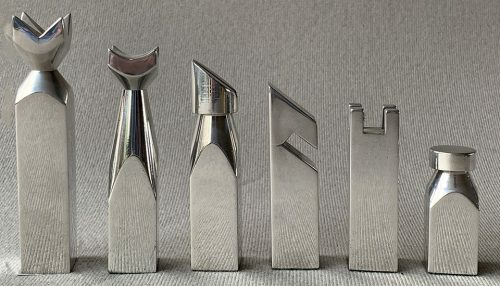 The King of this set stands approximately 4 inches tall with a 3/4″ square base. 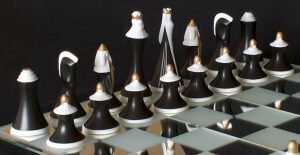 The highly polished and black anodized Aluminum chess pieces are housed in a replacement box. 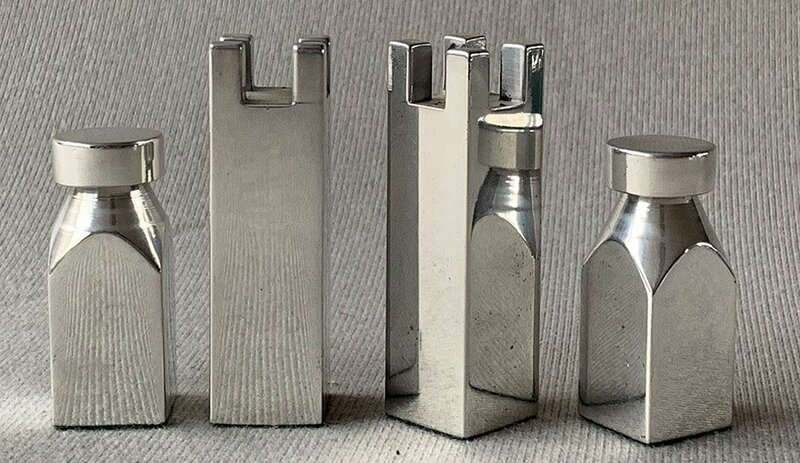 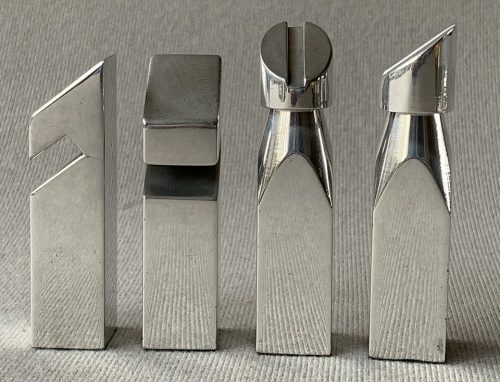 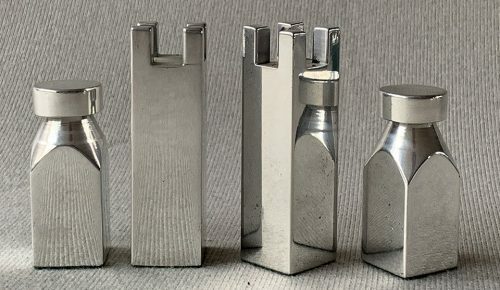 The Satellite Minimalist chess set was produced in the early 1980s. 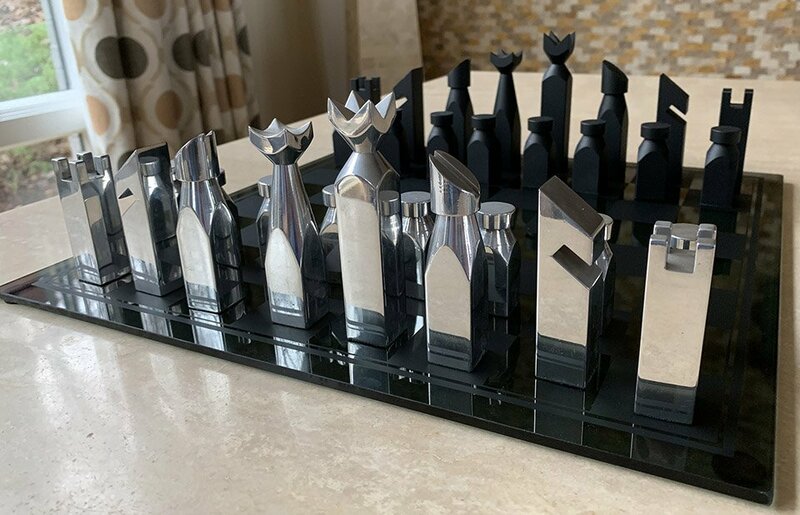 This modernistic chess set is like new. 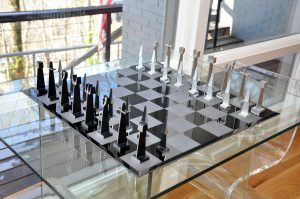 The black etched glass chessboard shown is included in this offering. 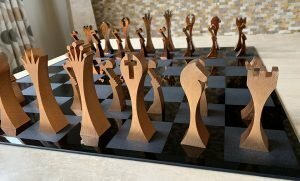 The chessboard measures 14″ square with 1-5/8″ squares. 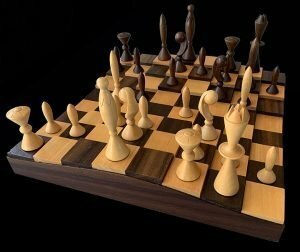 For our complete line of modern and antique chessboards, use this link. These imaginatively designed abstract chessmen make a striking display in any contemporary setting. 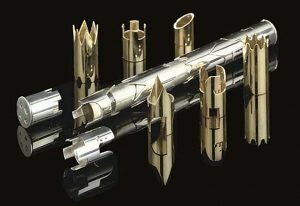 Fascinating, aesthetic, ingenious, these chessmen possess all these features, yet each one has its own individual character.